The Journal of the Association of Cine Technicians began in May 1935 as the official publication of the first British film technician trade union. 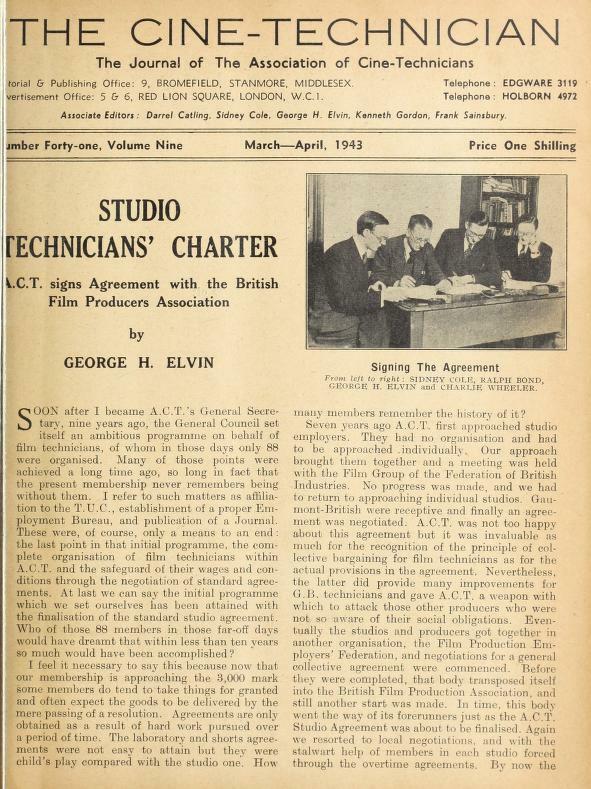 Later, the journal was renamed the Film & Television Technician, then Stage Screen & Radio, which is the name it continues to publish under six times a year. Today, the Association of Cine Technicians still exists as part of the Broadcasting Entertainment Cinematograph and Theatre Union (BECTU).